Up on Lake Mohave We have some striper action. Jerry Buffdieker our recent transplant angler from Alaska. 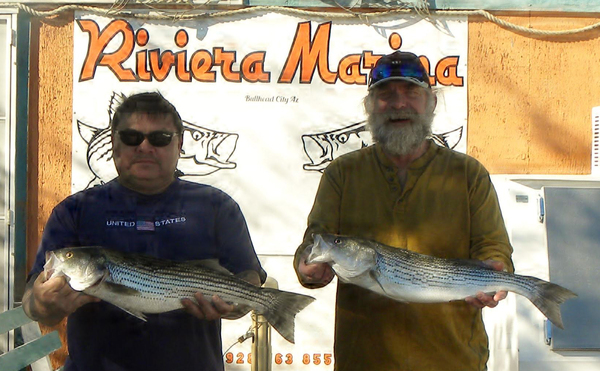 these two local anglers Landed a couple of stripers in the Katherine's landing area fishing from shore using anchovies. 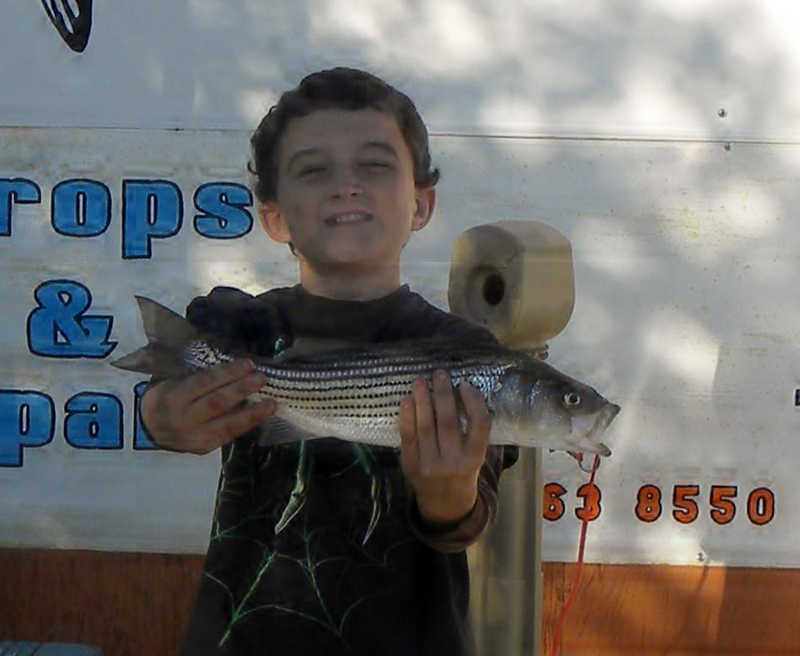 Armando Cobarrubio is shown holding his striper at 5.14 pounds and 26 and 1/2 inches. while Jerry's (brown shirt) was 3.98 pounds and 26 inches. this is a great size and seems to be what is been happening on the lake.Our next trout plant is coming up I will try and get a closer time but should be about the middle of the month.